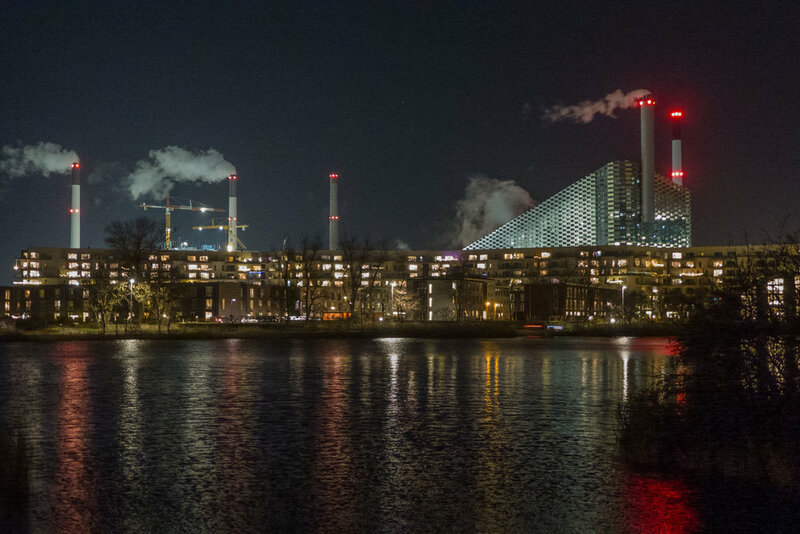 SLA have published plans and drawings for the ski slope and the planting that are to be added in the final stages of the building works for Amager Bakke - the new incinerator and waste processing plant in Copenhagen designed by Bjarke Ingels. The plant is now up and running but still without the promised smoke rings. View of the incinerator at night taken in December ... the ski run might not look that daunting in plan but that's not a bad angle. If you don't ski, there will be steps and a pathway for walking (or maybe that should be climbing) up to a cafe at the top which will have pretty amazing views over city and out over the Øresund.